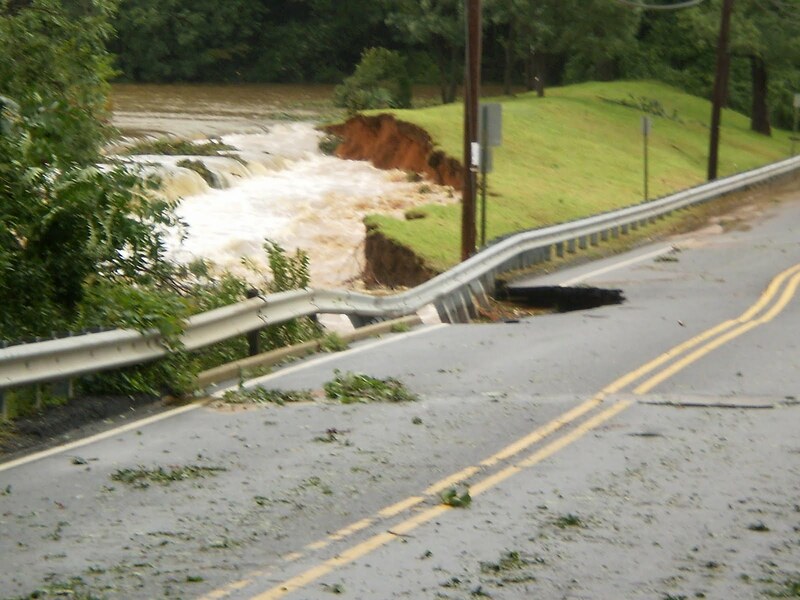 Many in our community suffered losses in Hurricane Irene. I am continuing to survey the damage and to consult local officials about their observations. Traveling by helicopter, by car, and door to door, I have seen that the damage is serious but spotty. Some neighborhoods have escaped damage, while others have suffered significant flooding. It is clear that, for tens of thousands of New Jerseyans, the hurricane’s impact is ongoing. I will continue to work with federal, state, and local officials to ensure that our state has every resource it needs to recover. In the meantime, I encourage you to document any damage to your property for your insurance company. I also have written to the President to urge him to declare a major federal disaster area, and if and when this declaration is issued, I will follow up with information on any assistance for which you may be eligible to apply. If your home was affected by flooding, I encourage you to follow guidance from FEMA upon returning home, as dangers may persist even after floodwaters recede. You may also find New Jersey-specific information on the disaster response on the website of the New Jersey Office of Emergency Management. Up-to-the-minute information on road closures caused by the hurricane may be found at 511nj.org. Finally, you may have heard that our region is suffering a blood shortage because Hurricane Irene forced the cancelation of many blood drives and donation appointments. If you are able to, I urge you to make an appointment to give blood as soon as possible. All of us owe deep gratitude to the public servants who worked through the storm to keep our communities safe. Princeton in particular suffered a great loss. One of our local volunteer EMTs confronted swift floodwaters in an effort to protect local residents and, tragically, was swept away and killed. His sacrifice reminds us of the dangers that our first responders face willingly each day, and it underscores the debt we owe to those who risk their lives to keep us safe. Although we have suffered significant losses, already our community is rallying together. Over the weekend, while volunteering at a shelter in Holmdel, I saw firsthand how countless New Jerseyans gave generously to help those displaced by the storm. At times like these, we remember that we are one community, and we are united in our resolve to help our friends and neighbors. On August 28, 2011 at approximately 1:55 pm Patrolman Carl Roth and Patrolman Anthony Gigante responded to area of Orchard Avenue in Belford in reference to a report of a neighborhood dispute. The officers were conducting their investigation when one of the involved subjects, identified as Christopher Melchionna, age 28, from Orchard Avenue in Belford, NJ, began to yell and scream obscenities. The officers advised Melchionna numerous times to calm down but he refused at which point he was arrested for Disorderly Conduct. He was transported to police headquarters where he was processed and released pending a court date. On August 27, 2011 at approximately 10:05 pm Patrolman James Beirne responded to the Bevacqua’s store located on Port Monmouth Road in reference to a Burglary in progress. Upon arrival the officer was flagged down by a witness who advised the officer that he had observed three male subjects break into the store and then flee on foot. The witness advised the officer that the subjects had removed a piece of plywood that had been used to repair a broken window and then entered the store. Officer Beirne radioed the description of the suspects provided by the witness to other officers in the area. Patrolman Albert Scott and Patrolman Ryan Riffert located the subjects on a nearby street. Officer Beirne continued his investigation which resulted in the arrests of George Echevarria, age 19, from Monmouth Parkway in Middletown, NJ, for Burglary and Possession of Burglary Tools; James Georgianna, age 19, from Hudson Avenue in Middletown, NJ, for Burglary and a 15 year old male juvenile from Port Monmouth, NJ, being charged with Burglary. The juvenile was released to his father pending a court date and Echevarri and Georgianna were held pending bail being set. On August 27, 2011 at approximately 5:05 pm Corporal William Kennelly responded to the Shop Rite Store in reference to a shoplifting. Upon arrival store security advised the officer that they had observed a male, identified as Ryan Durosky, age 25, from East Highland Avenue in Atlantic Highlands, NJ and female subject, identified as Katrina Palys, age 25, also from East Highland Avenue in Atlantic Highlands, NJ, attempt to leave the store without paying for approximately $145.00 worth of merchandise. Corporal Kennelly placed both subjects under arrest for Shoplifting. They were transported to police headquarters where they were processed and released pending a court date. On August 27, 2011 at approximately 6:00 pm Corporal James Keenan responded to the area of Wilson Avenue and Highway 36 in reference to a man down on the side of the road. Upon arrival the officer located the subject, identified as Charles Henshaw, age 45, from Front Street in Union Beach, NJ, who was extremely intoxicated and was attempting to stand up. Officer Keenan assisted Henshaw and attempted to locate a family member to pick him up. However, Henshaw became combative and unruly at which point he was placed under arrest for Disorderly Conduct. He was transported to police headquarters where he was processed and released pending a court date. On August 26, 2011 at approximately 4:20 pm Corporal James Keenan responded to the Foodtown Store in reference to a report of a shoplifting. Upon arrival the store manager advised the officer that he had observed a male subject, identified as Anthony Kane, age 44, from Randall Avenue in Hazlet, NJ, attempt to leave the store with deli meats and beer without paying for the merchandise. He was detained by store employees until police arrival. Officer Keenan placed Kane under arrest for Shoplifting. He was transported to police headquarters where he was processed and released pending a court date. On August 25, 2011 Patrolman Raymond Sofield and Patrolman Christopher Dee of the Quality of Life Unit arrested John Lachawiec, age 23, from Edgemore Road in Belford, NJ for Theft as a result of an investigation into the theft of a laptop computer and jewelry from his parent’s house. The officers had received information developed by Patrolman Keith Hirschbein that Lachawiec had sold the stolen items to a pawn shop in Keansburg, NJ. The officers located the property at the pawn shop and arrested Lachawiec. He was processed and was held on $5,000.00 bail. Damian Newell, age 19, from Nautilus Drive in Leonardo, NJ, arrested on August 27, 2011 by Patrolman Brain Dilworth for Simple Assault. He was held pending bail. Bill Stevenson is a life long resident of Middletown who lives adjacent to Shadow Lake. If there is anything anyone wants to know about the lake, he is the one to speak to. Mr. Stevenson sent along, via email, his observations as to why the collapse of Shadow Lake dam was not as cataclysmic as it could have been, it seems that the precautions that were taken back in 1938, after the dam washed out a second time in 4 years, was enough to save it from total collapse 73 years later. Mr Stevenson also expresses an idea on how to temporarily fix the road and open it back to traffic in a timely manner in the aftermath of Hurricane Irene. The collapse of the Shadow Lake Dam has not caused the water level to drop even 1 inch below normal. Let me explain why. The dam was originally constructed with a spillway at the south end. After the dam washed out twice (1934 & 1938), they added a 2nd spillway at the north side. This was a few inches higher than the main spillway, so that is only needed when the water rises. Beneath the earthen dam are interlocking steel beams which were pile driven into the earth to about the level of the spillway. In addition, a creosoted wooden bulkhead was constructed between the earth and the water. The top of this was slightly higher than the spillways. Both the steel beams and the bulkhead survived the washout. Thus the lowest point was the original spillway. The beams may have been bent slightly, but I don’t think that it is serious. Now as to what happened to cause the washout. This is what I believed happened. The heavy rain caused the level of the lake to rise well above the spillways. I don’t know how much, but at the west end of the lake at Stevenson Park, the level rose about 3½ feet above normal. At the main spillway, the level was so high that the spillways could not handle it and water started to flow against the berm at the north side of the spillway. Once it had eroded a small portion of earth, the erosion expanded and got worse as it got larger, eventually washing away more than half of the top of the dam and eroding a big hole in Hubbard Avenue. I think that they should fill the hole in the road with large rocks & maybe concrete. There should not need to have a big rush to replace the washed out portion of the dam. Those are some good observations but it leave the question of why didn’t the water go over the 2nd spillway also? If it had maybe Hubbard Rd. wouldn’t have been damaged as badly as it has. I suppose we’ll just have to wait for that answer however and be thankful that it a total collapse of the dam did not occur or much more damage would have resulted. I spent the 36 hour long duration of Hurricane Irene at work. Someone needed to be there to monitor our plant in Newark, so myself and 3 others stuck out the storm and kept an eye on things. Luckily no damage occurred to the plant site and I was able to make it home safe and sound Monday morning at about 9am. While at work I was able to keep up with what was happening around the area and am thankful for the updates that were posted on Middletown Patch, Asbury Park Press and RedBankGreen, as well as the many friends that called to inform me of what was happening, without them I don’t think I would have been able to stick it out at work for as long as I did. I stayed in contact with my wife and kids and was glad to here that our power didn’t go out, no trees came down and our basement didn’t flood (some seepage did occur but was easily cleaned up) even though many in the area suffered through such loses. I consider myself lucky that my parents and in-laws live very close by, they where able to stop by and check-in on my family while I was gone and I thank them for it. So now after sleeping most of yesterday away, it’s time to get outside and finish the clean-up that my wife and sons started yesterday around the yard. There are plenty of sticks, twigs and small branches that need to pick upped and placed curbside for the emergency brush pick-up scheduled by Middletown for later next week. Now it’s off to work of a different kind, it’s time to pick up a few sticks. Due to the volume of brush generated as a result of Hurricane Irene, an EMERGENCY BRUSH COLLECTION will occur town-wide. All brush must be placed curbside no later than Tuesday, September 6, 2011. Crews will not return for brush once the emergency collection is complete in your neighborhood. Do not mix leaves with brush. Regularly Scheduled Leaf Collection will occur in November. Flooding and power outages that were the result of Hurricane Irene continued to plague residents today, particularly with travel along local roads. The severe flooding from 9 to 12 inches of rainfall over this past weekend caused two earthen dams to fail, and forced county officials to close five bridges that will be in need of major repair. Because those bridges and dams impacted the roads, detours will be necessary until those repairs can be made. “Even though these closures will cause an inconvenience, residents should be pleased to learn that the county’s Department of Public Works and Engineering was well-prepared for the storm and have since committed the necessary resources to minimize the impact on us all. For example, all of the county’s engineers have been reassigned to inspect the county’s 980 bridges; 34 of the most crucial structures were to be inspected by the end of today. In addition, personnel in several other divisions have been reassigned to assist with those inspections. They will be working 12-hour shifts for the remainder of this week to get the work done. Ravine Drive at Lake Lefferts in Matawan. Lake Drive over Takanassee Lake in Ocean Township. Another concern residents may have is the number of traffic signals that are out due to continued power outages. As of this afternoon, Jersey Central Power & Light Co. has restored service to approximately 248,000 customers with about 346,000 customers still without power in northern and central New Jersey. In total, more than half of JCP&L’s customers have been affected. JCP& L crews are making progress, but debris from downed trees and limbs and areas of heavy flooding are making restoration efforts challenging. Many of the outages associated with this storm are isolated and will require a significant number of repairs to bring all residents back in service. JCP&L is focusing its initial repairs on efforts that can bring up the most customers. For example, if one repair can bring back 1,000 customers, that’s near the top of the list. There are thousands of smaller, localized repair requests; this work is labor-intensive and it will take at least several more days. There are 1,200 FirstEnergy and JCP&L workers in New Jersey working on restoration efforts. In total, more than 4,000 FirstEnergy employees are involved in the effort. This picture was sent to me by a friend that lives on Hubbard Rd., just down street from the Shadow Lake Dam. As you can see in the picture this breach isn’t any small leak, a large section of the berm seems to be gone. The road is beginning to buckle from all the water washing the soil away from underneath. The guard rail is just hanging, no longer anchored to anything.